Hello Unity Loves! This is Rachel back with you on this super sunny and warm December Sunday (tongue twister) to share the newest Stamp of the Week: Forever and Ever. 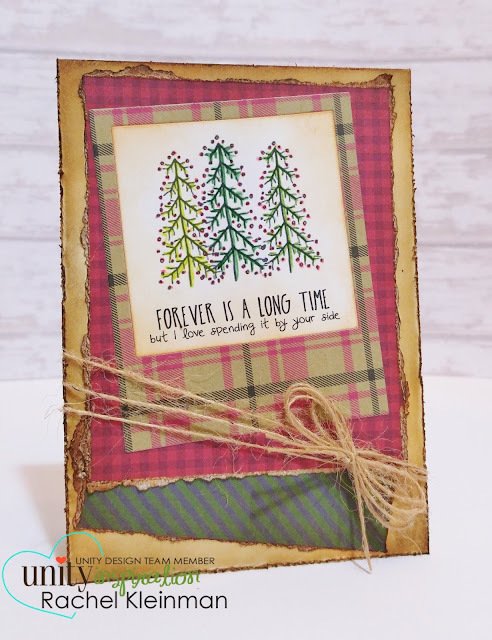 I decided to go super rustic and even a little "manly" with this card... I might give it to the hubs for his Christmas card! 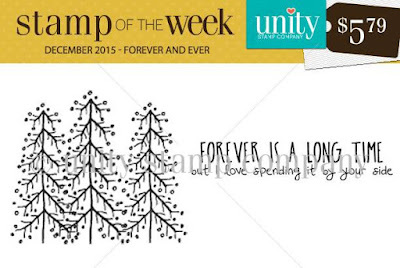 The Stamp of the Week is an awesome and totally affordable subscription through Unity! It's only $5.79 a week (I think that's the EXACT price of my Starbucks grande skinny caramel macchiato with an extra espresso shot) which INCLUDES shipping!! You receive a special stampy surprise in your mailbox each and every week. It's worth checking out!